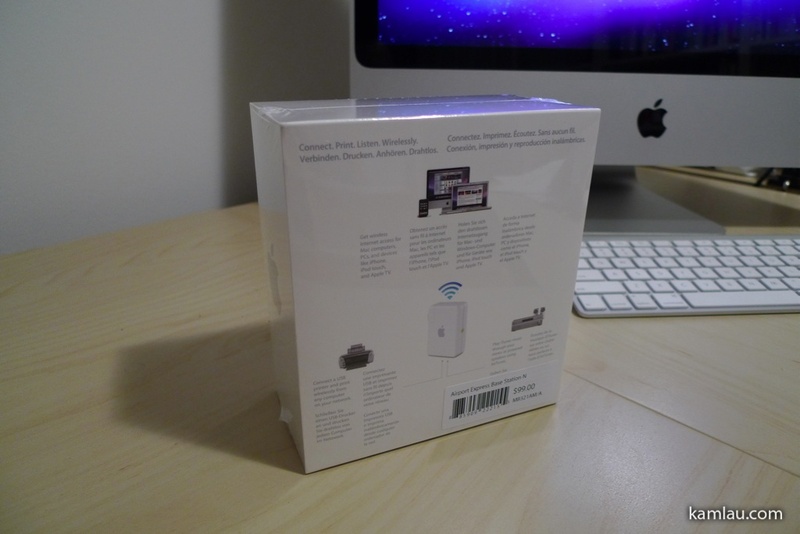 After using the WD TV Live for a few days with the older AirPort Express Base Station that can only connect at 802.11 G, I have run into some connection issues. The connection issues are from playing anime in high definition (720p) through the Network Share connection option in WD TV Live. The problem I experienced is a bit intermittent. All of the high definition files can be browsed and I can start playing them with no problem with the older AirPort Express Base Station. However, the playback could be interrupted randomly and WD TV Live will stop and display an error message saying the Network Share is not available. Then it will take me back to the Home Screen. When that happens, if I try to connect to the Network Share again, my Home Server is actually not available in the selection of Network Share. I also tried to connect to YouTube and that works fine. 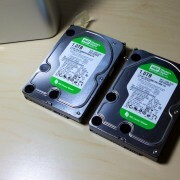 So there is definitely something to do with connecting to my Home Server using Network Share from the WD TV Live with a slower wireless connection. If I navigate to the Media Server option, my Home Server will be available through that option. However, using the Media Server option limits the file type I can play. 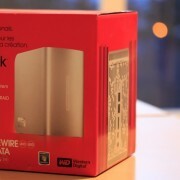 I am sure it is some settings I can tweak in the Home Server and enable MKV playback somehow. 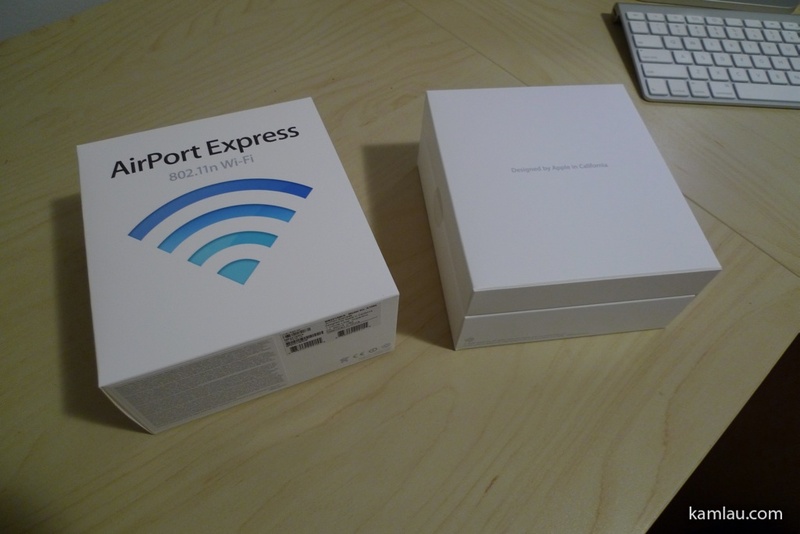 Anyway, I decided to give the new AirPort Express Base Station a try when Apple had the Black Friday sale. 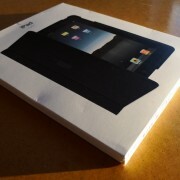 As you can expect from an Apple product, the packaging design is very pleasing to the eyes. 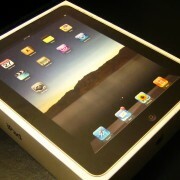 I really find unpacking an Apple product a very satisfying experience. I am still keeping the box for some odd reason. I like the design. There it is. 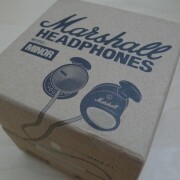 The packaging is very eco-friendly. 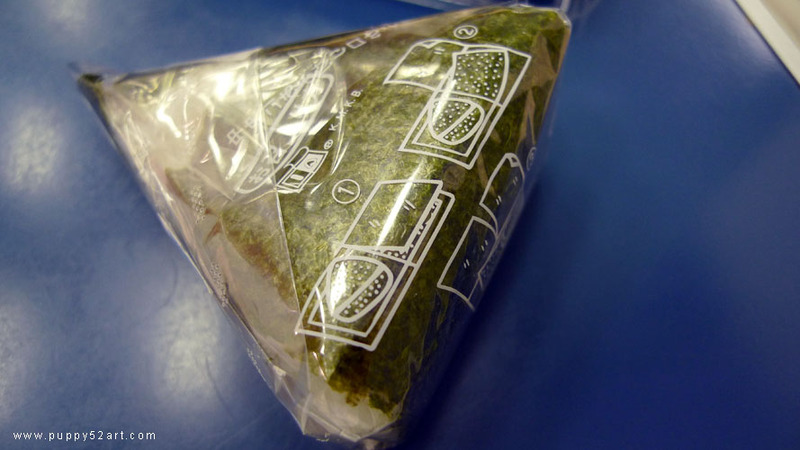 It is made of paper, no annoying styrofoam. I have to say it is a very simple design for a router. 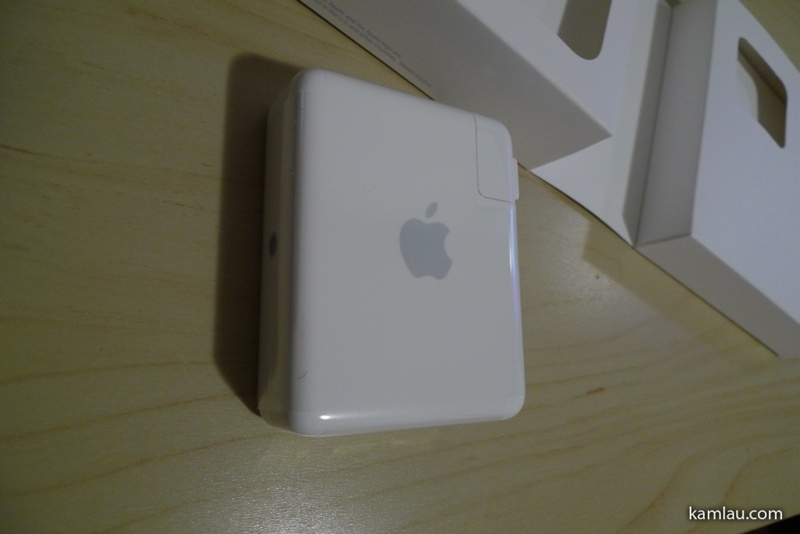 There are no antennas that stick out from the pack, no extra indicator lights, not even a power adaptor is needed. At the bottom of the AirPort Express Base Station is an ethernet port, a USB port, a Toslink port and a reset button. 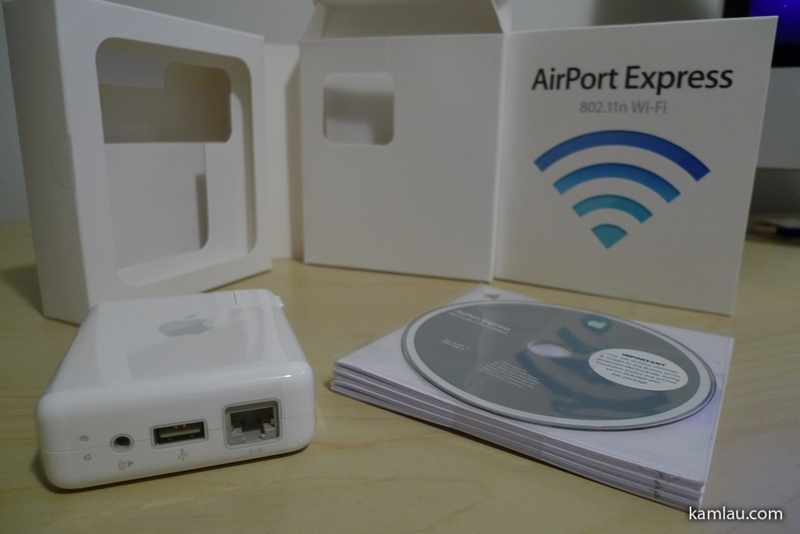 The AirPort Express Base Station can operate as a router or a bridge. 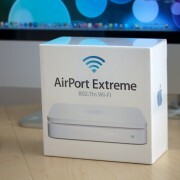 When operating as a router, the ethernet port takes an internet connection and make it available wirelessly. When operating as a bridge, it takes a wireless connection and make it available through the ethernet port. 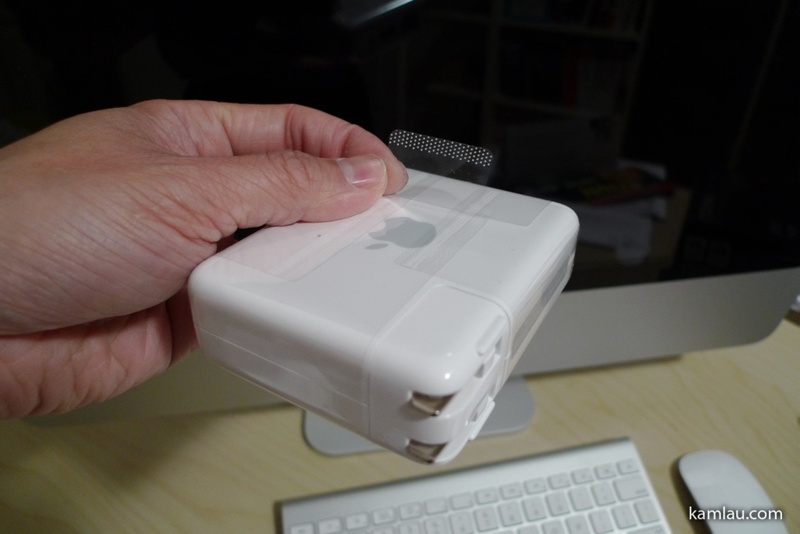 The USB port is only used to connect a printer and allows you to print wirelessly. I have not tried it as my printer has a wireless connection built in. The Toslink connection allows you to play music on your computer, using iTunes, to your hi-fi system wirelessly. Apple calls this feature AirTunes. It comes with some documentation, actually in three languages. 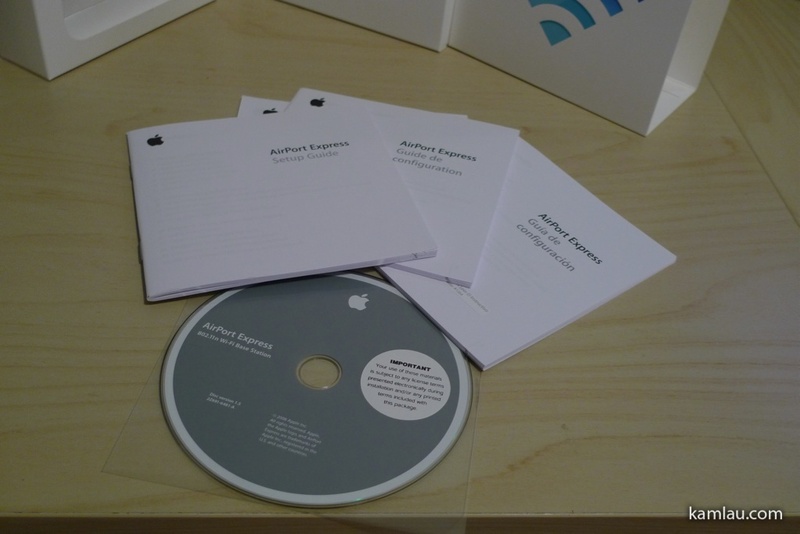 It also comes with a CD with the AirPort Utility. I did not have to use any of those as I have everything I need to set it up. 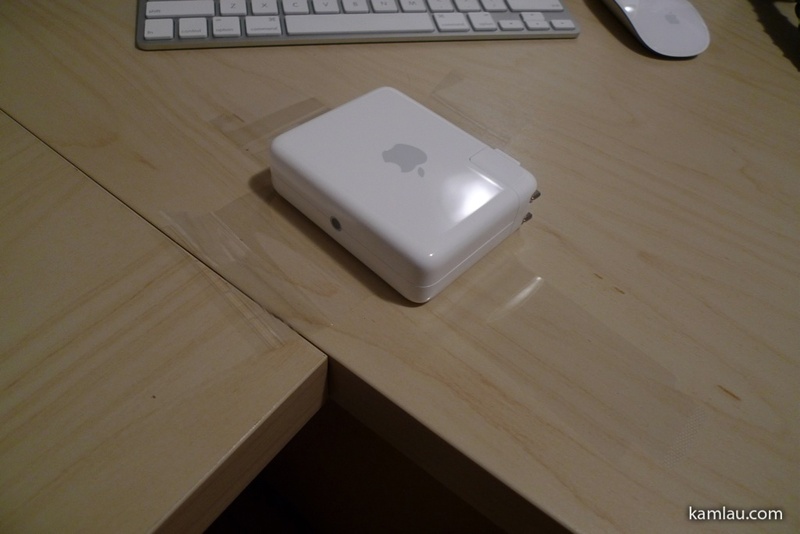 As I mentioned, there is no power adapter to worry about. You just plug it into the wall and that’s it. 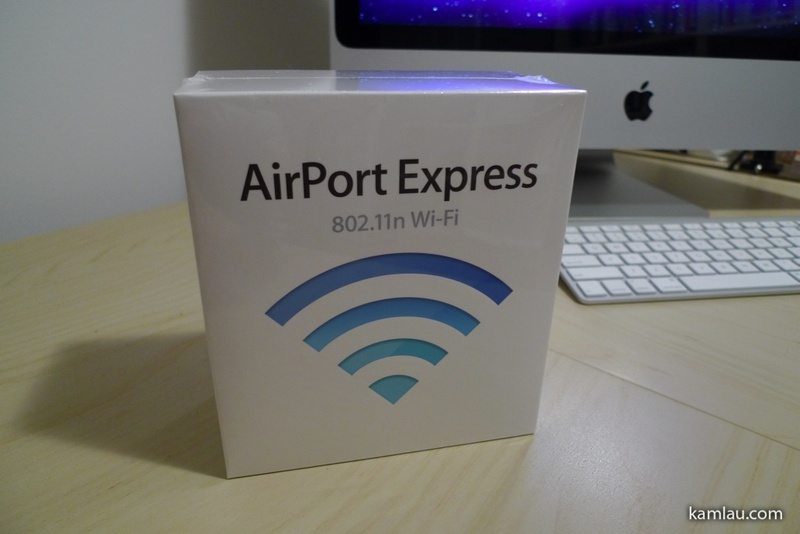 The AirPort Express Base Station is great for traveling as well if you need to share one internet connection in a hotel room with your girlfriend/boyfriend, wife/husband or your next door neighbours. 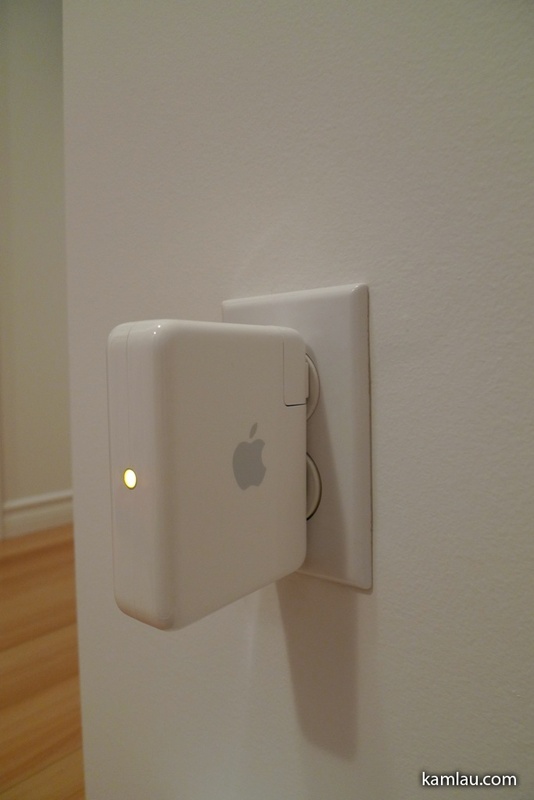 After using the new AirPort Express Base Station with the WD TV Live, the previously mentioned connection problem has gone away. 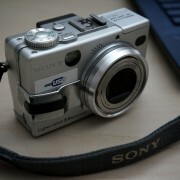 I have been using this setup for about 10 days now and it is running very smoothly for me. I was previously considering power ethernet solutions but this is a cleaner setup as I don’t need to run a network cable to a power ethernet converter from my router. 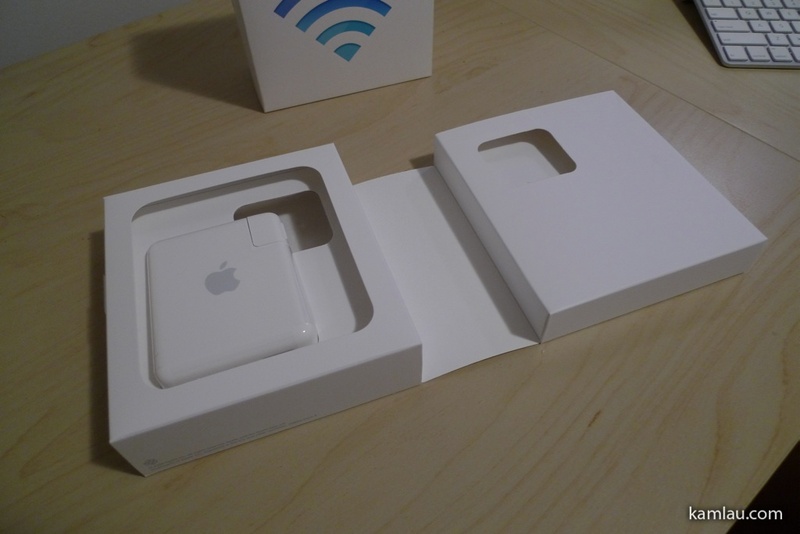 Do you use any Apple wireless products? 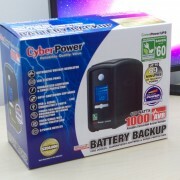 What is your experience with these gadgets?